How to make sure your products are free of counterfeit? With Milos NFC authentication and anti-counterfeit service, your product can all be easily identified for their genuineness during any point of distribution by using a NFC-enabled mobile phone. Limited edition shoes, or about-to-MP samples; no matter how carefully you control the release of your product, your manufacturing process, distribution and sales channels are vulnerable to copying activities and counterfeits. 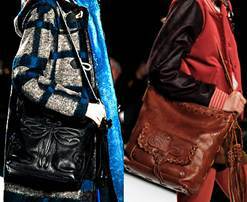 Any counterfeit can destroy your luxury brand image that built for a long time. A easy and handy authentication measure can prevent multi-million dollars loss just due to the lack of control or anti-counterfeit measures. The authenticity of a product is the key for protecting your quality and brand. NFC stands for Near-Field Communication, (Youtube video link for how NFC works) which is a standard for smartphone to establish RF communication with any other device or NFC tag. 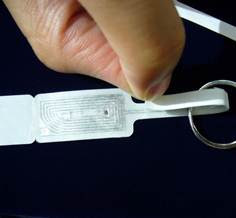 By implanting a NFC tag inside your product, and using our Milos NFC authentication and anti-counterfeit service, any smartphone with NFC functions, can easy trace and track the identity info of product, show the GENUINENESS or AUTHENTICITY of a product. How to Ensure Your Products Are TRULY GENUINE? - Register a NFC label into product after the last step of production QC process. 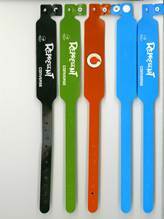 - Any goods or restricted samples, which bare a smart label, can now be tracked carefully. Since the goods/samples have a unique ID, the recipient can now easily confirm the delivery note using their mobile phone. 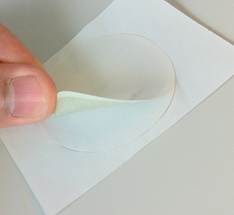 - The distributors can now easily check the genuineness and ensure no counterfeit product are mixed inside the goods. Their warranty record can also be associated to individual items. - The customer/end user can now use their mobile phone to check the genuineness as well as product information or warranty information. Since our Milos NFC Online authentication service is entirely a cloud application, product owners are completely free to set their own rules. Usage reports are available online any time anywhere, or even automatically generated each months. 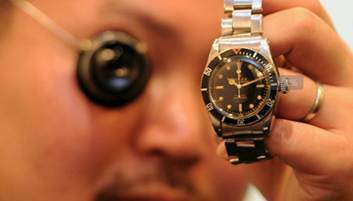 These data are proved to be useful to predict or prevent whether the counterfeit occurs. 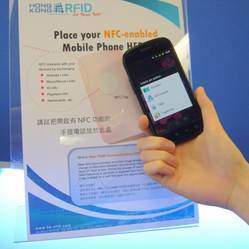 Milos NFC authentication and anti-counterfeit service will be ready to launch in Q1 2013. And the labels and tags are all ready for order. Please stay tune on our blog or newsletter, or please contact us for more information.